Plant-based diets are full of naturally healthy fiber. Fiber moves through your system, taking waste materials and other unneeded compounds, toxins and poisons with it. Fiber makes you feel full longer, which leads to fewer calories eaten during the day. A high-fiber diet promotes healthy digestion and can help diabetics control blood sugar levels. Plant-based foods are consistently ranked as the healthiest for human consumption. They are full of the wonderful nutrients your body craves and can lead to mental, physical and emotional stability, health and well-being. The most important nutrition studies of all time have told us what your parents evidently knew … when you eat your fruits and vegetables, as mom and dad consistently preached, you give yourself the best chance at a long and healthy life. For all these reasons and more, eating plant-based foods as opposed to processed and fast foods makes so much sense for someone who has already received a pre-diabetes or diabetes diagnosis. The problem is, people don’t eat enough unprocessed, minimally cooked fruits, vegetables, nuts, whole grains and other plant-based foods. As far as fiber is concerned, you need a minimum of 25 g per day on a regular basis. The optimal range if you are under 50 years old is more than 25 g for women, and more than 35 g for men. Plant-based foods additionally deliver phytonutrients, minerals, essential fatty acids, enzymes, vitamins and other health-boosting chemicals and compounds which are simply not found in most processed foods. This means a plant-based diet promotes health and well-being from head to toe, inside and out, in both diabetics and non-diabetic individuals. Plant-based foods are full of dietary fiber, as mentioned above. This means you feel full longer after eating than if you chose nutrient-poor, fiber-poor fast foods and processed foods. This leads to consuming fewer calories and carbohydrates throughout the day. That practice can lead to weight loss if you are overweight, a problem that diabetics routinely face. High-fiber foods help regulate healthy blood sugar levels. Plant-based foods are high in fiber (we keep beating that drum, but it is an important point to make). Blood sugar spikes can be deadly to a diabetic. Eating lots of fresh, plant-based foods can help naturally regulate how much glucose your body absorbs, keeping you healthy. Diabetics are often deficient in potassium, magnesium, folate, vitamin C and vitamin E. These and other essential minerals, vitamins and nutrients are found in high quantities in plant-based foods. The key here is to eat a wide variety of vegetables, fruits, nuts and whole grains to ensure you give your body all of the health-boosters it needs to help you manage your diabetes. 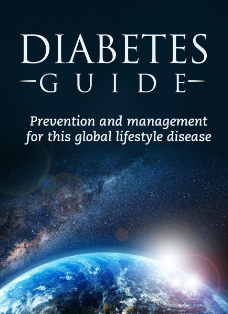 The International Diabetes Federation agrees with other global health authorities when they say type 2 diabetes, the form of diabetes diagnosed in 90% to 95% of all diabetes patients, is entirely preventable by eating predominantly a plant-based diet. If you have not been diagnosed with pre-diabetes or diabetes, adopting a healthy plant-based diet now can keep you from developing this serious health condition.